Check out our Bronx Tree Services Commercial. Contact us if you have any questions about trees surrounding your property, home or business – please don’t hesitate to give us a call. We are certified tree professionals ready to help! We’re also FULLY LICENSED & INSURED and offer FREE ESTIMATES! 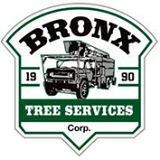 When you need the help of a Bronx Tree Company call Bronx Tree Services; we have been the leading tree experts in the Bronx for over 25 years and we are ready to service you with safe, efficient, and affordable tree service.